Please do not clear the local cache when you have a project in an "offline" state. While working with a project offline, you will lose any changes to project if you do not first connect to Project Server and save the changes to the server. System will display the Clean Up Cache dialog box with following filters. 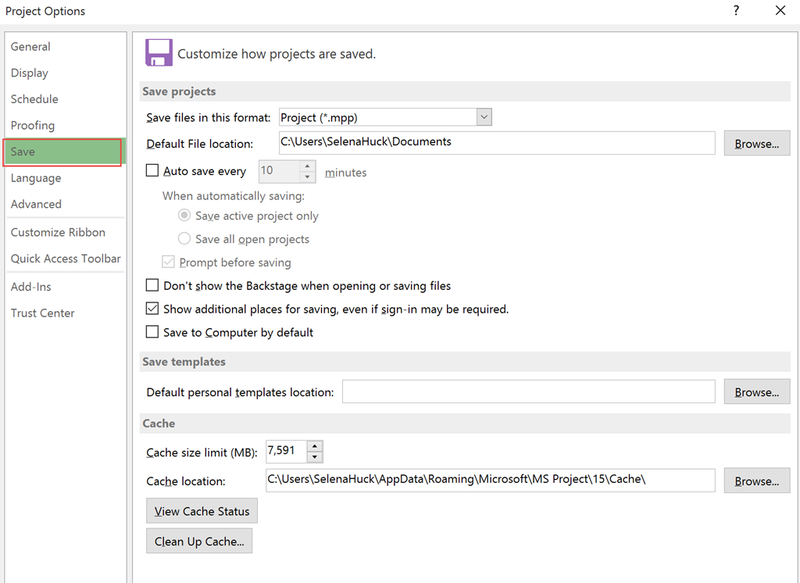 Highlight the project and click on "Remove from Cache"
If you are absolutely sure that you already saved the changes already, click "Yes" to delete the project from cache. If you are not sure about the latest changes whether you saved, in that case please click "No" button and close the Clean Up Cache dialog box and return to MS Project Pro to save the change.